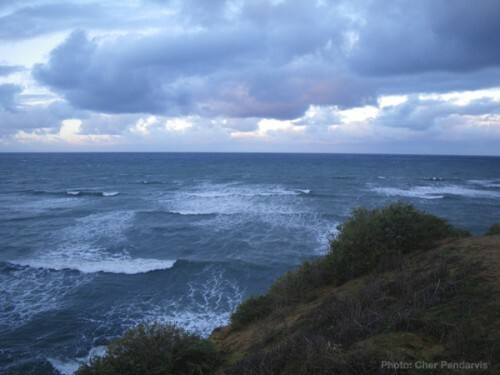 Winter if off to a good start; this morning brought healthy, strong winds and fresh rain. We celebrate the bluster, with white caps on the ocean . . . even inside the kelp . . . wind gusts that make the trees move, and intermittent rainbows in the dynamic sky. Here are a couple photos from our morning cruise and walk. 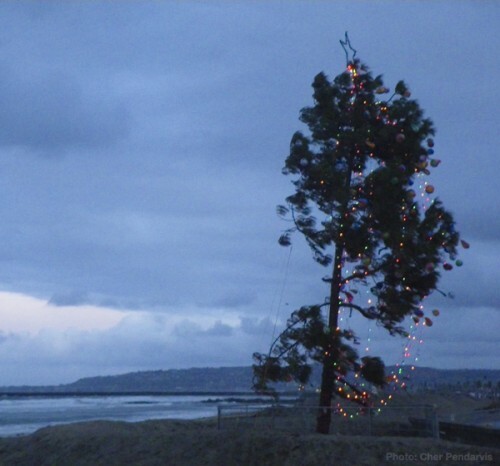 Ocean Beach Christmas Tree, Merry Christmas to all! No Comments on "The first day of Winter brought fresh, healthy wind and rain"